Google has been pushing the Chromecast hard as of late, adding a special section for Chromecast to the on-device Google Play Store to highlight the apps that can take advantage of it. Of course, those apps are still thin on the ground - outside of Google's wheelhouse there's only Netflix, HBO Go, Hulu Plus, and Pandora. If you're a regular user of these services, you shouldn't have any trouble justifying the purchase. If not... well, you could look at it as a $24 streaming gadget, assuming that you would have spent at least six bucks on movies. Best Buy is offering free shipping, but in-store pickup is not available, so you probably won't see this small discount at any of their brick-and-mortar retailers. Amazon Prime members can get free shipping as well (and it's pretty cheap otherwise). There's no indication of when this sale will end. 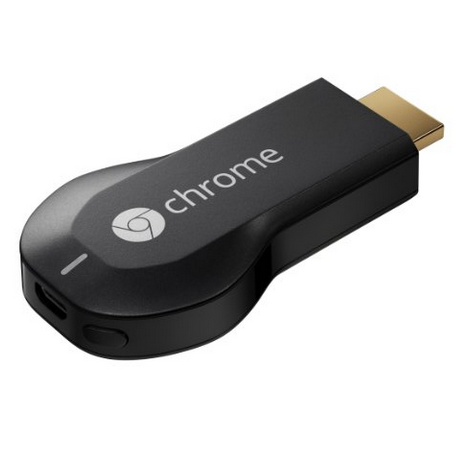 Chromecast could get a bit scarce around Christmas, so if you want a few for stocking stuffers, it might be best to pick them up now.